Bernina 570 QE do I have a lemon? Thread: Bernina 570 QE do I have a lemon? Purchased this dream machine in March, 2018. Began a lovely stint of sewing, quilting and more sewing. In Love. Then thread cutter stopped working. OK took in and had fixed under warranty. Now I sew perhaps 3 minutes when first turned on before the machine stops and the image comes up that my upper thread is empty. Not! Cut thread - pull (from bottom) and re thread. Now only 30 seconds and image comes up. 7K invested and am concerned I'm wrestling a lemon. Thoughts? Ideas? Not a fan of Bernina's, and I don't know what you paid for it, but it isn't a cheap machine, so I'd take it back. I am a Bernina girl and there are known problems with the new 500 series. However, are you sure that you are threaded correctly? I have a 770 and get crazy messages like this one from time to time and find that it's usually user error. Take it in just in case it is not operator error!!! Are you using the same brand, weight, type of thread when it does this or only on certain threads? Are you supposed to thread your machine with the needle up? On my machines the needle has to be up in order to get it threaded correctly. Perhaps there is a sensor that is bad and needs replaced. It sounds like another trip for the repair shop. Bring it back to the shop and find out what is going on. You should not be having problems with what you paid for it. Did they offer free lessons to get you used to it. My dealer did with my Bernina 440 that cost a heck of a lot less. Same here...I’ve gotten that message on my screen at least twice in the year I’ve had my 770. I shut my machine down, re thread and it goes away. I happen to love my Bernina. I'm a Bernina girl too, but my 1020 just died, I think. Keeps breaking thread. I have rode her hard and put her away wet many a day. She was in the rug business and would sew 8 hours a day. She owes me nothing. I tried a new computerized one, that one went back where she came from. Just like everything else, they don't make them like they used to. I had a Bernina 1600 that was a lemon. I know it doesn't happen often but it does happen. I have 2 Bernina's and love them both. Have I had issues, YES. But they come with a good warranty so just take your machine in and get it working correctly. 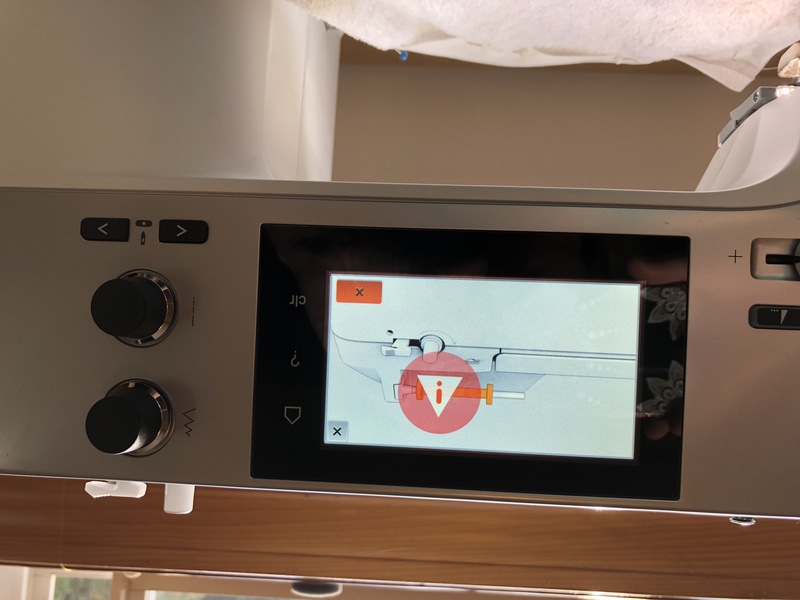 You will not be sorry you bought a Bernina. I have a Bernina and I love it. There must be something wrong with the computer board if everything else seems to be done correctly. Take it back and demand results. If you don't get results, contact the company via phone or their website. Paying as much as you did, you should not be having any issues with their product. Remember the squeaky wheel gets oiled. Good luck! The lessons were very useful in learning to use my Bernina 440 which was my first computerized sewing machine.